Candace H. Johnson-For Shaw Media Grayslake Central's Lauren LaBeck sets to Kate Bullman against Waukegan in the second game at Grayslake Central High School. 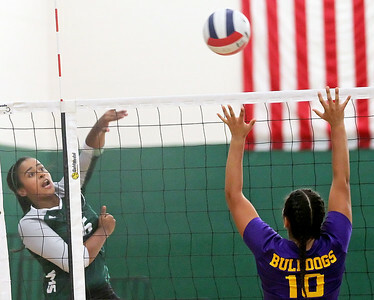 Candace H. Johnson-For Shaw Media Grayslake Central's Kate Bullman (on right) looks to block an attack by Waukegan's Niolis Collazo in the first game at Grayslake Central High School. Candace H. Johnson-For Shaw Media Grayslake Central's Elisabeth Koshy makes an attack against Waukegan's Alysia Herrera in the first game at Grayslake Central High School. 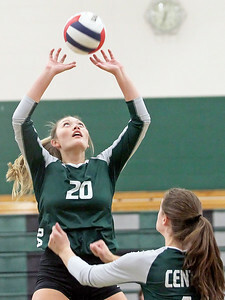 Candace H. Johnson-For Shaw Media Grayslake Central's Lauren LaBeck, Abby Marassa, Amber Moser and Kate Bullman celebrate a point against Waukegan in the second game at Grayslake Central High School. 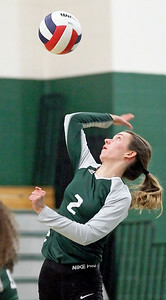 Candace H. Johnson-For Shaw Media Waukegan's Rachel Valle bumps the ball against Grayslake Central in the first game at Grayslake Central High School. 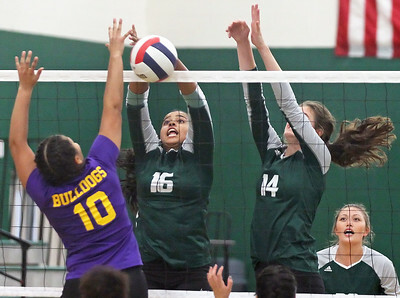 Candace H. Johnson-For Shaw Media Grayslake Central's Elisabeth Koshy and Kate Bullman (on right) block an attack by Waukegan's Alysia Herrera in the first game at Grayslake Central High School. 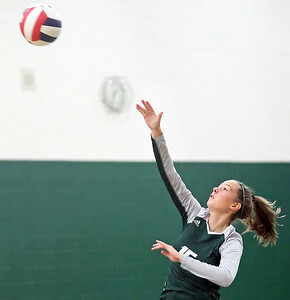 Candace H. Johnson-For Shaw Media Grayslake Central's Michelle Maraist serves the ball against Waukegan in the second game at Grayslake Central High School. 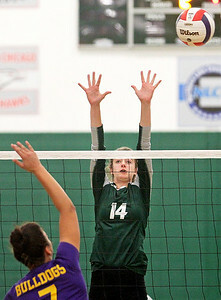 Candace H. Johnson-For Shaw Media Grayslake Central's Amber Moser serves against Waukegan in the second game at Grayslake Central High School.